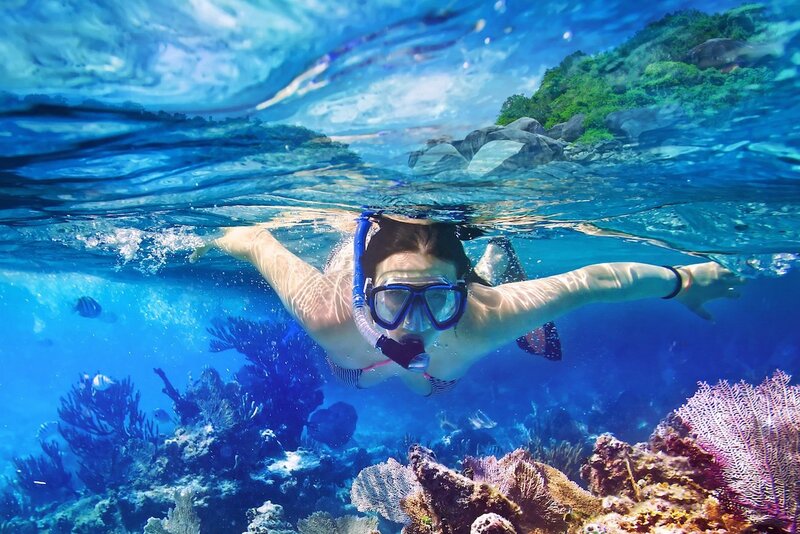 If you are fond of snorkeling and would like to combine this amazing underwater experience with bright emotions, white beach, blue sea, and all-inclusive service, welcome to Fabulous Punta Cana Isla Catalina! During this excursion, you will cruise along the coast of the Dominican Republic to Catalina Island to chill out on its idyllic beaches and explore the Wall, the area’s famous snorkeling site. You will also have access to an open bar, while enjoying live music and entertainment. On the Punta Cana Isla Catalina famous for its idyllic white-sand beaches, blue sea, and historical heritage, you will be treated to the Traditional Dominican Lunch. Snorkeling equipment, transportation, and drinks are included. Trip to Punta Cana Isla Catalina includes pick-up and drop-off from any hotel or area of Bavaro/Punta Cana and transportation in modern buses with expert drivers, accompanied by a professional multilingual guide. On your way to the port, you will make a stop at a gift shop, where you can purchase souvenirs. Your adventure starts when you go aboard Paradise catamaran and have a speedy trip to the first diving site. Our PADI-certified dive team will introduce you to the health and safety procedures on board and provide a snorkeling briefing, assisting you with finding the equipment that fits you. You will also enjoy drinks from an open bar and music selected by the entertainment team to keep you energized during the boat ride. Going towards the east side of Punta Cana Isla Catalina, our catamaran will take you to a snorkel site known as the «Wall», which caters to both novice and expert snorkelers. Life jackets are available to anyone. 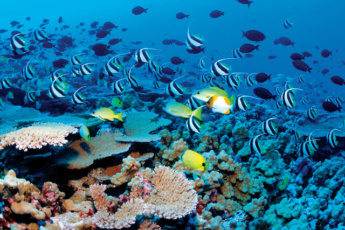 snorkeling which also gives an opportunity to observe fantastic marine species. The equipment is included. During an hour of snorkeling,you will have an opportunity to discover the natural marine beauty. You will be fascinated by incredible visibility of the water and an amazing underwater ecosystem. The crew will have some bread to feed the fish while you are snorkelling. Get back on board the boat and enjoy alcoholic and soft drinks on your way to a private beach on Catalina Island. There, you can relax or stroll along the beach. Snorkeling equipment is available at the bar if you wish to snorkel again near the island. Besides, don't miss an opportunity to take the best photos ever on fabulous Catalina Island! After such an active pastime, treat yourself to traditional Dominican food (meet, rice, pasta, salads, local fruit) prepared by a renowned local chef nicknamed ‘Bobby.’ If you select the VIP lunch, you’ll also enjoy fresh lobster. After lunch, you can continue chilling on the beach. You can relax, snorkel or swim again, enjoy the open bar, or just listen to the waves and soak up the sea breeze. Approximate pick up time from your hotel or pick-up point: 7 a.m.
What to bring: hat, swimming suit, sun protection cream, photo camera, towels, good mood. What’s included in Fabulous Punta Cana Isla Catalina trip? + Lunch and free alcoholic and soft drinks. Visit to the most famous snorkeling site in the area. The trip is quite long. Don’t forget your sunscreen to avoid getting sunburnt. Book your unique Fabulous Catalina Island Trip right now! Snorkeling between tectonic plates was impressive. Our guide, I believe her name was Jorge, was especially kind to me, when I freaked out a little while snorkeling. He held on to me the whole time. All-in-all, it was a beautiful experience you can only have there! I had only ever seen colorful fish and coral like these on TV, or in aquariums. The ocean with its inhabitants is another world! I had never seen before anything so beautiful and harmonious in my life. Although this trip turned out more expensive for our family of 4 than we would have liked, but the experience we had was unforgettable. Neither of us had ever been snorkelling before, but we liked it! How long does Punta Cana Isla Catalina trip last? Punta Cana Isla Catalina trip is a full day Punta Cana excursion. It lasts about 9-12 hours. Should I take money going to Punta Cana Isla Catalina? Actually you will not need money, because Punta Cana Isla Catalina excursion includes free food and drinks. But if you want, you can take some money, just in case. Will anybody tell me about the safety procedures before snorkeling on Punta Cana Isla Catalina? Yes, our PADI-certified dive team will introduce you to the health and safety procedures and provide a snorkeling briefing, assisting you with finding the equipment that fits you. Will you then take me to the hotel after Punta Cana Isla Catalina excursion? The trip to Punta Cana Isla Catalina includes pick-up and drop-off from any hotel or area of Bavaro/Punta Cana and transportation in modern buses with expert drivers. What do I need to bring to Punta Cana Isla Catalina? We recommend you to bring to Punta Cana Isla Catalina your hat, swimming suit, sun protection cream, photo camera, towels and good mood. Do you provide snorkeling equipment during Punta Cana Isla Catalina excursion? Yes, we provide snorkeling equipment during Punta Cana Isla Catalina excursion and it is included in the price. What days do you organize excursions to Punta Cana Isla Catalina? We organize excursions to Punta Cana Isla Catalina every day. Book now the best excursions in Punta Cana with EverythingPuntaCana.com! Is Punta Cana Isla Catalina excursion suitable for children? Only children over 12 years of age can go to Punta Cana Isla Catalina Excursion. Are there many people on Punta Cana Catalina Island? There are not so many people around on Punta Cana Catalina Island. 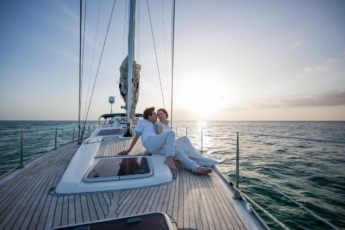 Book online Punta Cana Isla Catalina excursion right now and enjoy the beautiful sea and the real Carribean feeling on Punta Cana Catalina Island. Can I go on Punta Cana Isla Catalina tour, if I have never tried snorkeling? 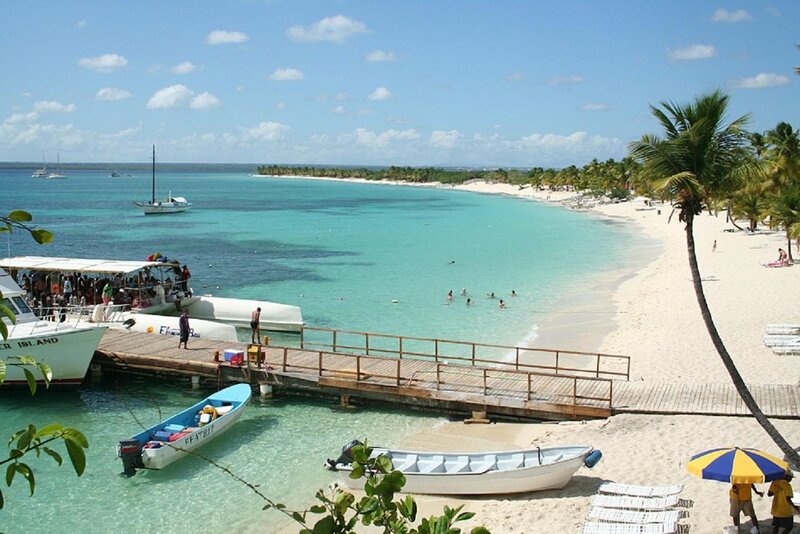 Yes, you can go on Punta Cana Isla Catalina tour. Our PADI-certified dive team will introduce you to the health and safety procedures and provide a snorkeling briefing, assisting you with finding the equipment that fits you.